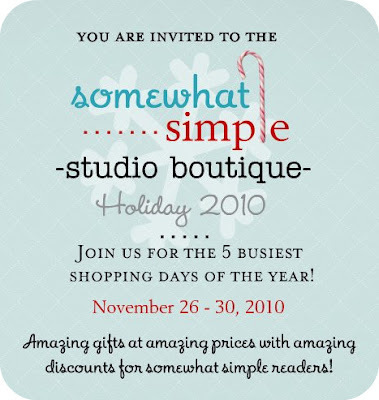 Just in case you haven't heard, this amazing boutique is going on RIGHT NOW! Get some holiday shopping done in the comfort of your own home. Amazing shops from some amazing creators with some amazing discounts just for you. Visit somewhat simple for all the fun!